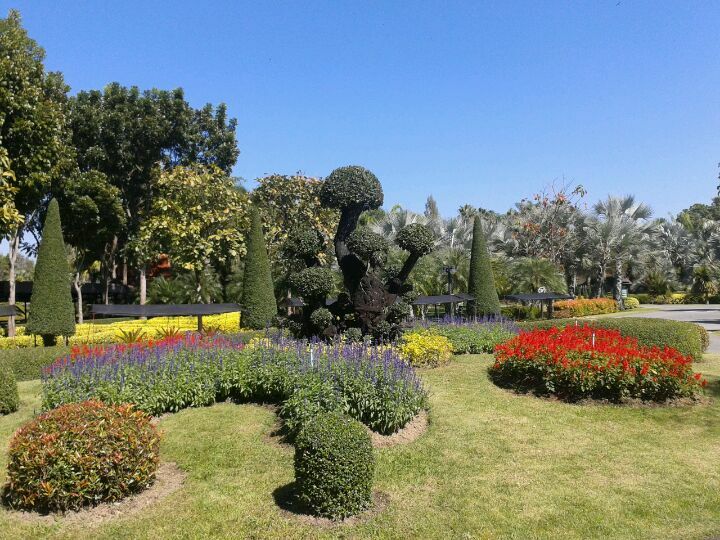 Tweechol Botanical Garden is one of Chiang Mai's recent gardens to be open to the public. The gardens are very manicured with many examples of topiary. 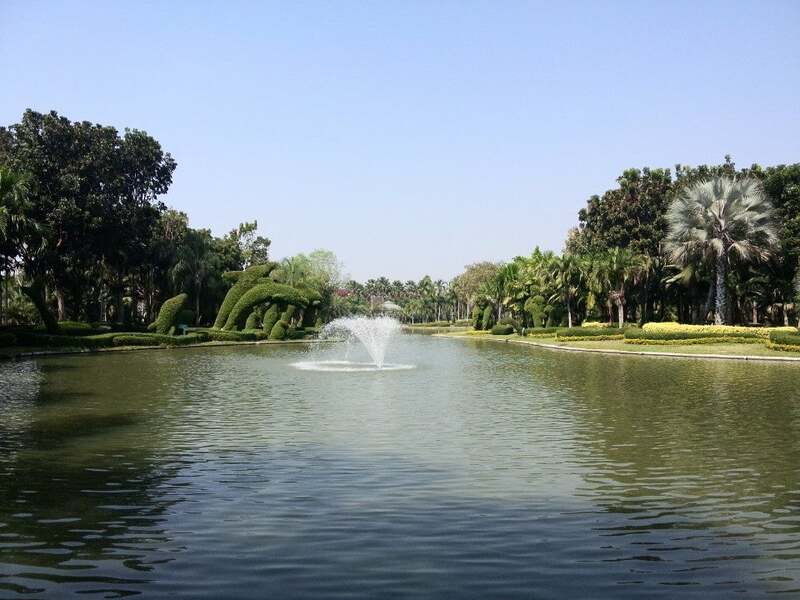 Why Tweechol Botanical Garden is special ? Tweechol Botanical Garden was begun with the dream of its being a place to study the old way of life of the Lanna people, Lanna culture. One of its most interesting features is Centre point which has four domes displaying orchids, wild orchids, bromeliads, fern , anthurium, philodendron, cacti and succulents. The manmade water fall and tropical plants rely on a humid ecosystem. 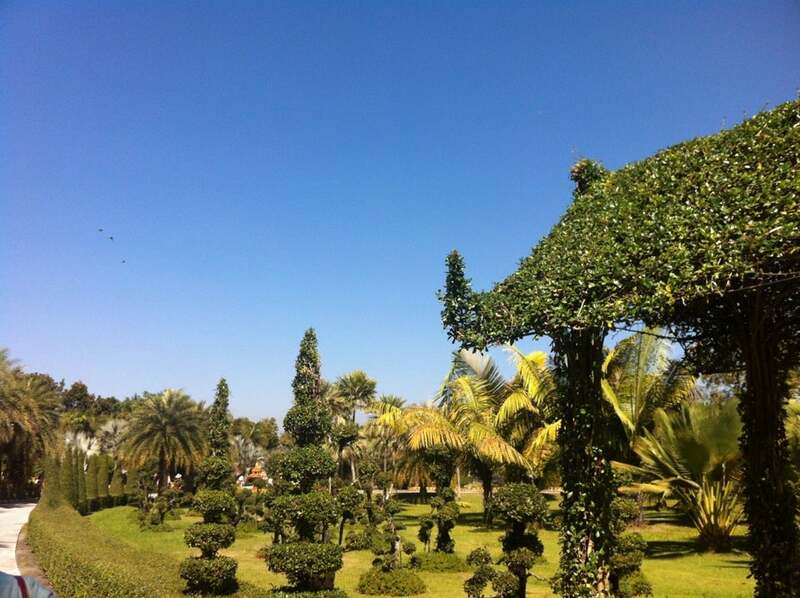 There are many other areas of the botanic garden to enjoy, from the palm garden with over 107 varieties of palm trees from around the world to the topiaries, expertly crafted into countless animal shapes such as dinosaurs, rhinosaurs, giraffe, camels, king kong, birds. The numerous lakes gives the visitors a felling of space, with even pedal boats provided to explore further. What to explore at Tweechol Botanical Garden? 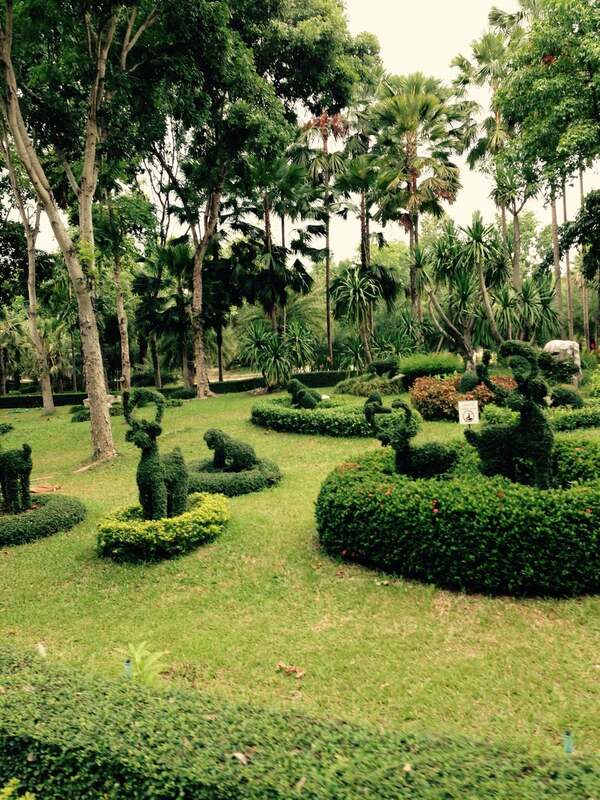 The gardens are very manicured with many examples of topiary. 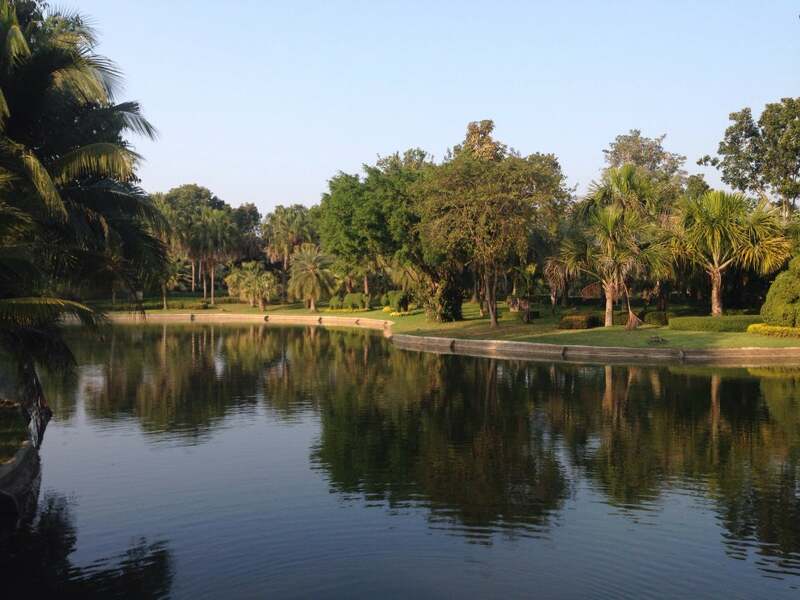 It has one of the largest collections of plants in Thailand which have been collected for years it also hosts a museum, swimming pool, small zoo, lake front restaurant and a horse riding arena. 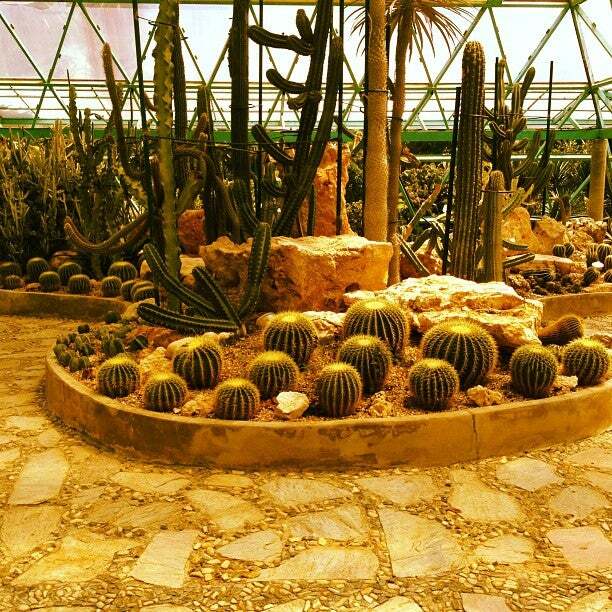 The Orchids, Bromeliads, Cacti and Antirrhinums are housed in 4 large buildings. It has feature gardens with Palms, Herbs, Roses and Cyclades so you can view the amazing variety of each . It is a wonderful place to relax and wander or to take a pedal boat out for a spin on the lake with the children. The mini zoo has lots of small animals the children will love to see and pet. How to get to Tweechol Botanical Garden? Tweechol Botanical garden can be found at 10Km NE of Chiang Mai on the Chiang Mai - Doi Saket Road (The hiway to Chiang RaI). Tuktuk may be the best way to get there. To get around you can hire a Golf Cart Baht 300 (up to 5 People) Baht 200 (2 people). or a Bicycle for Baht 30. There's a lot of animals inside. You can even feed sheep grass. You can bring your own food and water or buy some from the tuck shop right in the start. Went here in the late morning and it was virtually empty of visitors. Tweechol is large, so we rented bicycles to ride around. Besides the orchids, there are various species of palm trees, cacti, bromeliads and more. There are animal shaped trees, peacocks, deer at the petting zoo, a pool, and other random but pleasantly fun things to see and do. Worth a trip at least for the orchids!